My love for Palm Springs knows no bounds. 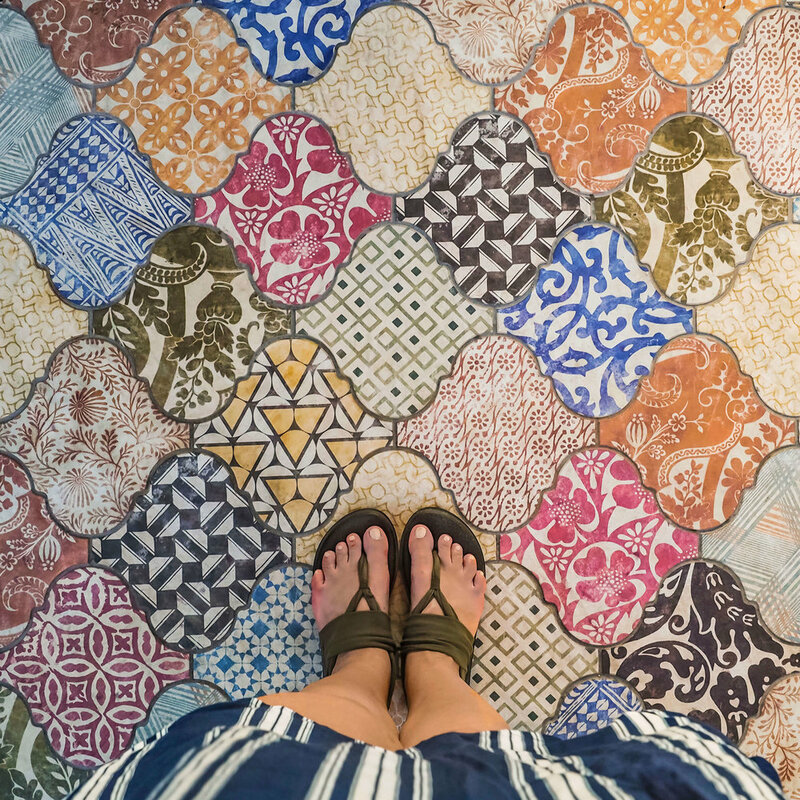 From the bright colors to the dessert heat to being surrounded by Instagram-worthy cacti, it’s truly the most design-inspiring city with so much to do and see. 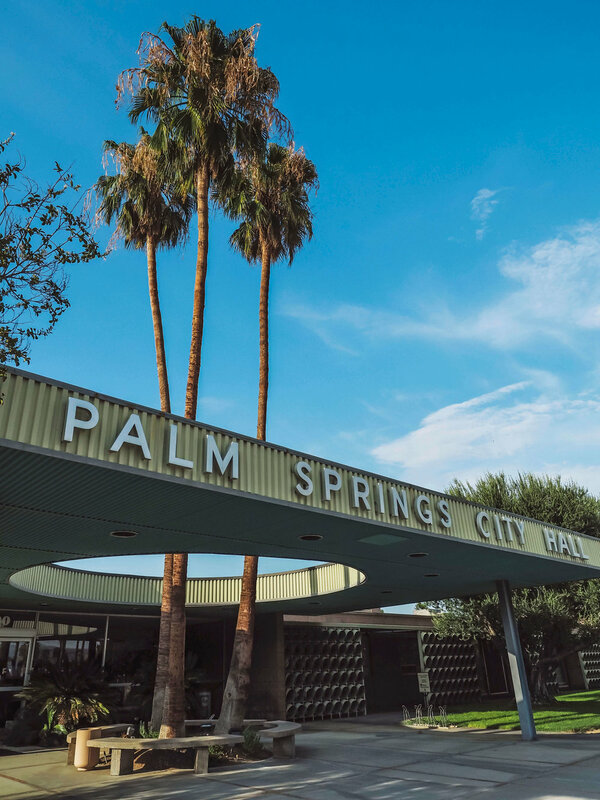 We went in the middle of July, where the temperature soared into the 100s, but Palm Springs at this time is a quiet and serene place. It’s not packed with tourists and you can easily get dinner reservations and walk right up to the classic homes and architecture to get pictures. Without a doubt, if you’re a couple, stay at the Arrive Hotel. The rooms are amazing, the pool is top-notch and there’s a bar, restaurant, coffee shop, ice cream shop and souvenir store in site. Find out more about Arrive in my detailed review. 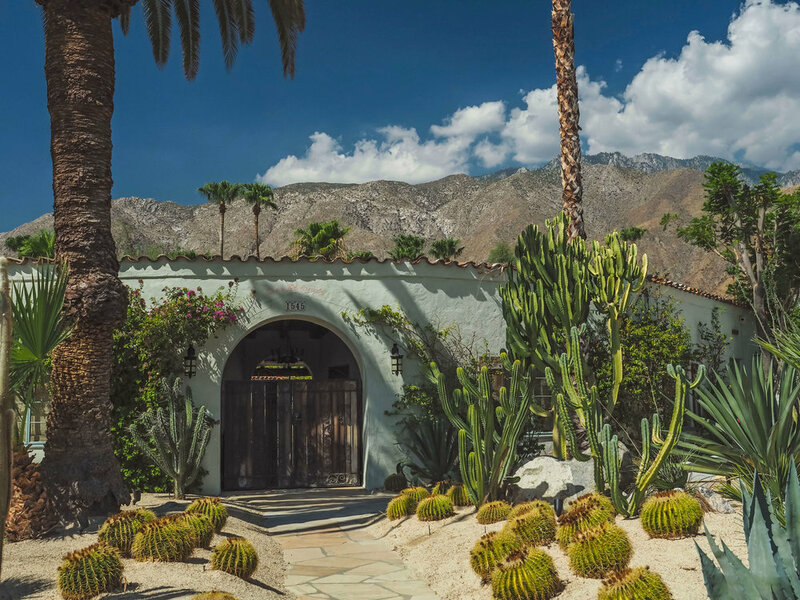 There are so many historical and beautiful homes in Palm Springs. Being there in the middle of July, we opted to drive to each but bike rentals would be a great option when the temps drop into the 70s or 80s. The town is SMALL (much smaller than I was expecting) so biking would be surprisingly easy. Mike and I are all about self-guided tours in order to save money and not be on somebody else's schedule. The first tour we did was the Mid-Century Modern Architectural Tour. We simply pulled the map up on our phones and I narrated the information as we pulled up to each building. 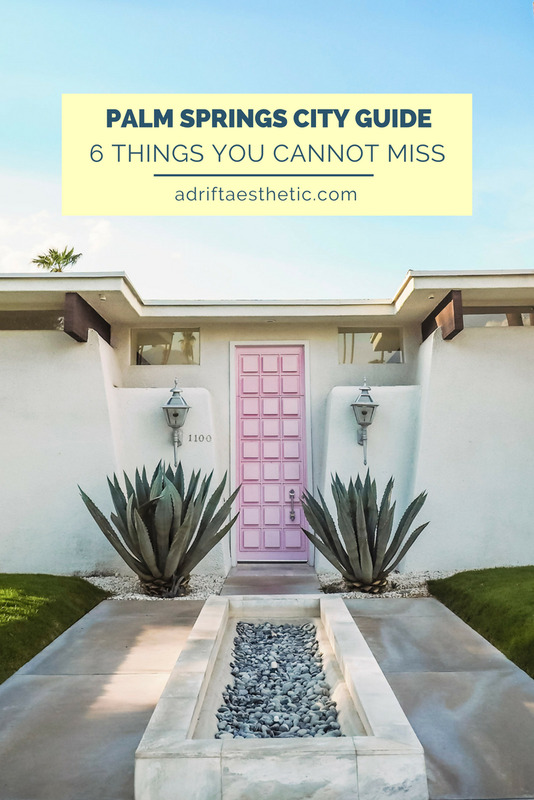 Our favorite stops were the gorgeous Kaufmann house, a five bed, five bath stunner built in 1946 by Richard Neutra, peeking over the gate of Elvis’s Honeymoon Hideaway (around the corner from the Kaufmann House), Palm Springs City Hall built around two large palm trees, and the Tramway Gas Station, one of the most iconic Palm Springs landmarks. Our second self-guided tour was the Colored Door Tour. 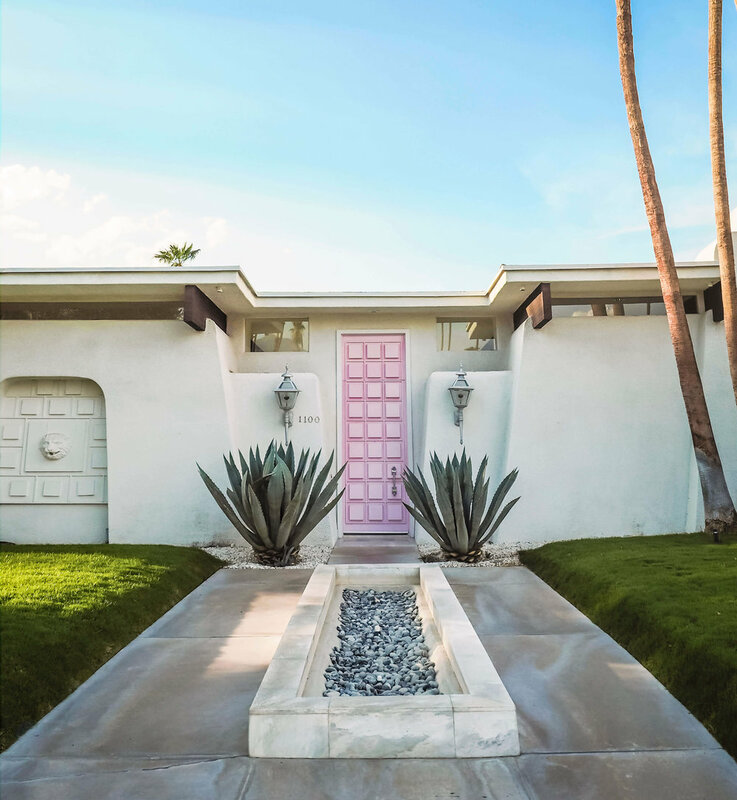 This tour took us through the winding residential side streets throughout Palm Springs and showcased many of the famous colored doors the town is known for. 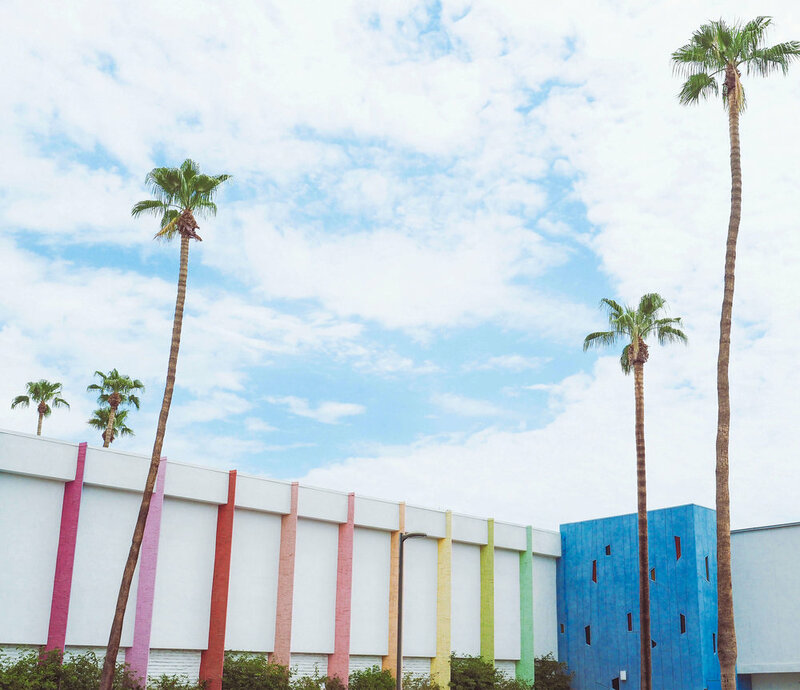 From light blue to orange to the Instagram-famous pink door, this tour is a great guide. Note that some of the colors are off on the map and some of the doors are in private drives where tourists can’t drive into so be on the lookout for trespassing signs. The map also includes the “Party Animal” house, a home with two lion statues guarding the front that wear pool floaties. I couldn't get enough of these home so Mike and ventured south of Murray Canyon Drive to the side streets on the border of the Agua Caliente Indian Reservation. There are some gorgeous houses that are more modern that are perfectly back dropped by the mountains. Perfect scenery for photos. 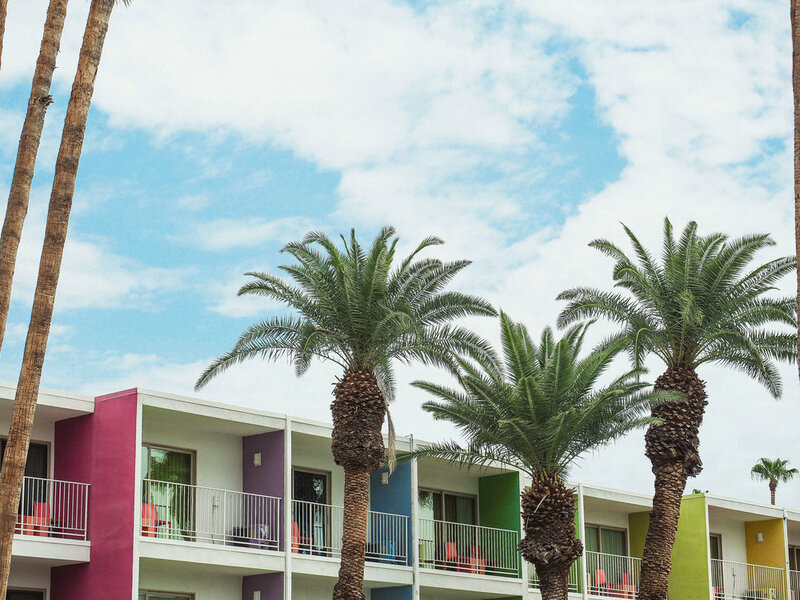 The bubblegum-colored décor of The Saguaro Hotel definitely needs to be seen in person. Even the views from the parking lot are impressive. Inside is the restaurant El Hefe, led by iron chef Jose Garces. Stop by for some tacos and margaritas. Palm Springs gets hot. Very very hot. Find a pool to stay sane. We spent a lot of time at our hotel pool at Arrive but many other hotels have pools and pool parties (complete with DJs, dancing and drinks). Check out Ace Hotel & Swim Club or the Rivera Palm Springs. Something we didn’t realize until we got to Palm Springs, traveling 13 minutes straight upward will take you from 100 degrees to 70 degrees. Just past the famous Tramway Gas Station is a winding road that takes you to the Palm Springs Aerial Tramway. You start the trip in the desert and end up in a vast forest of Mount San Jacinto State Park. Learn more about the tram ride and state park here. 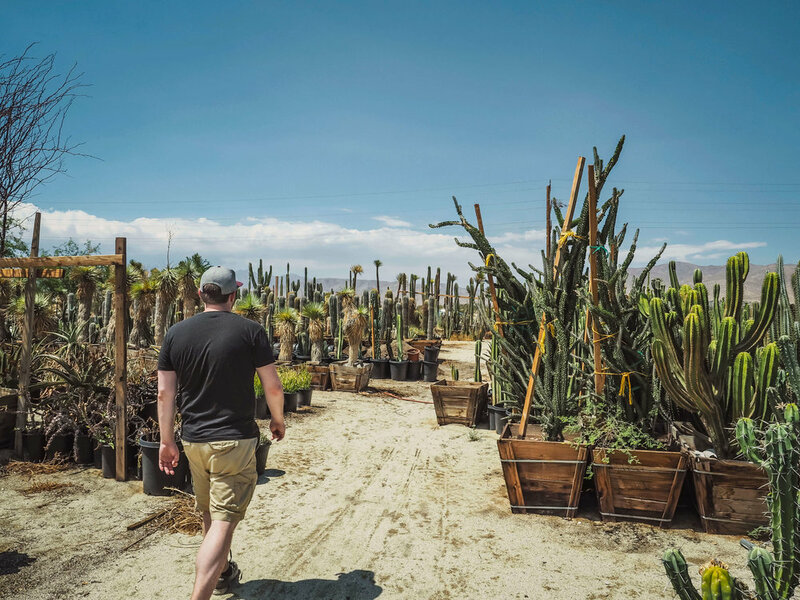 Head about 20 minutes north of Palm Springs to Desert Hot Springs and on a seemingly empty road in the dessert you’ll find Mariscal Cactus & Succulents. This nursery is almost an acre wide and houses hundreds of cactus varieties. There's something about cacti that makes them great subjects for photos. Maybe it's the fact that they're so on trend right now or that my grandma always had cacti throughout her house when I visited growing up, but taking the time to walk aisle by aisle at Mariscal's was definitely worth it.